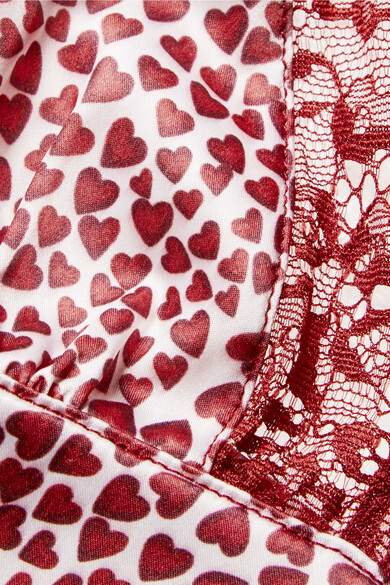 Even when adorned in playful printed hearts, Anine Bing's bras are so elegant. This 'Rumi' bra has soft cups that are cut from satin and trimmed with delicate lace. It's finished with ruching below the bust and an elasticated underband for added support. Pair yours with the matching shorts. Wear it with: Catbird Bracelet, Loren Stewart Bracelet.